Christopher Marlowe is a David Austin rose. It is probably not one of his most stunning roses but it has several fine characteristics: its growing habit, its profusion of blooms and its unusual colour, to name a few. I find the colour of Christopher Marlowe’s blooms particularly charming. They start out orange pink with a yellow button eye. The petals pale to salmon pink as the flower ages. The flowers are medium sized. They are cupped as buds but become rosette shaped as they mature, with the outer petals eventually falling back. Rose books regularly claim that a rose will bloom continuously throughout the season but most will have a distinct spring and autumn flush. With Christopher Marlowe, I can honestly say it is continuously in bloom and the blooms are not scorched by the summer sun. 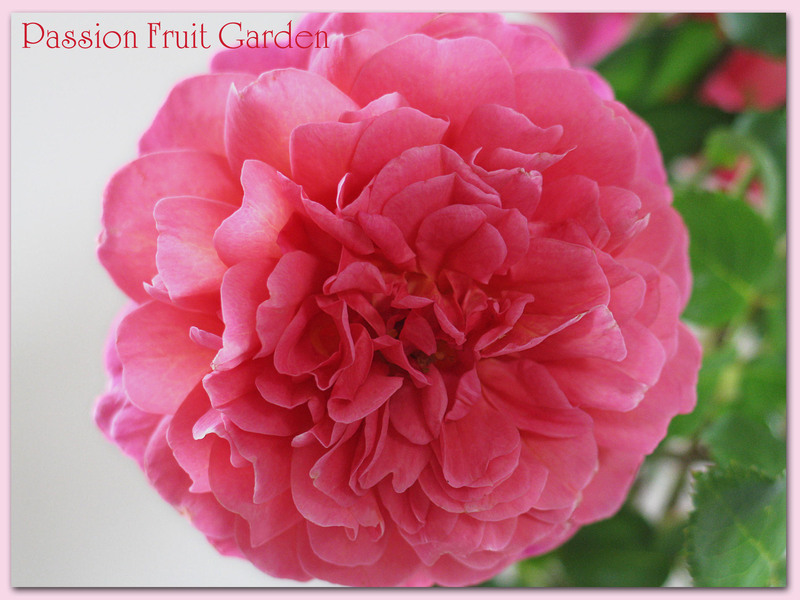 The roses in the photos were picked after two consecutive 40+°C days. Christopher Marlowe’s growth is short, about 1.2 metres, but very vigorous and broad. David Austin recommends it for a hedge. The foliage is medium green and polished, with small, shiny leaves. As I have previously mentioned, all roses in this Group have Aloha (bred by Boerner in 1949) as the foundation parent. This group includes some beautiful roses, therefore, Aloha must have had some pretty good genes. Christopher Marlowe was named after the famous playwright and contemporary of William Shakespeare. This rose was introduced by David Austin in 2002. 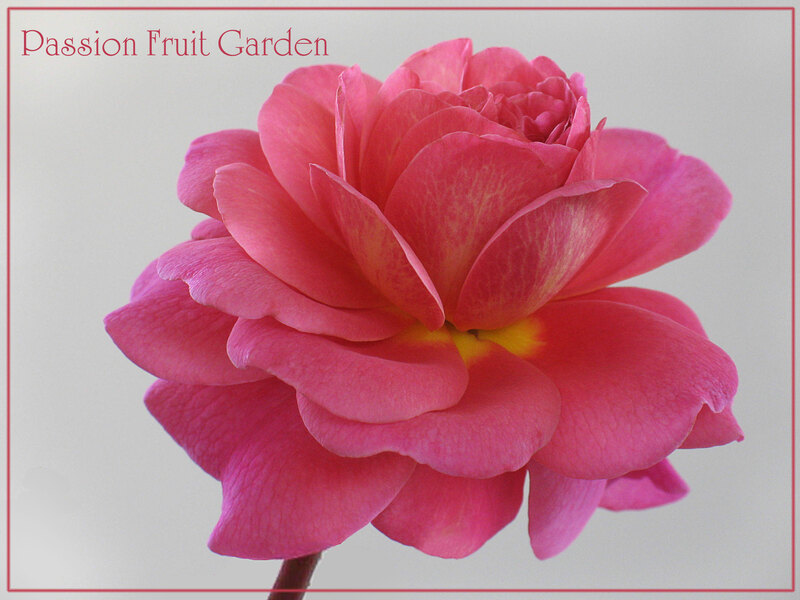 This entry was posted in David Austin, Modern Garden Roses, Rose of the week and tagged David Austin Leander Group, David Austin roses, Orange pink rose by Glenda. Bookmark the permalink. Those are so beautiful – they almost look like peonies they’re so full. Tell me something – do you have a count on how many rose bushes you have going? It has to be an incredible sight. Oh my word, that has to be such a beautiful sight when all or most are in bloom. Glenda, this one is a stunner! And they kind of remind me of the tissue paper flowers I’ve been making..
Hi Celia, I did check out your flowers, they are very pretty and indeed, similar to the real thing. Glenda, I am in awe of your rose collection, you must have a stunningly beautiful garden! How many do you have? My oldest brother (and my father for that matter) would have loved seeing your posts. They both grew roses en masse, my brother in particular. Lovely rose, stunning colour. Thanks Liz, you are always so kind. I have pretty close to 200 if you count both houses.